Once a year our crew teams up with the community of Observatory, Cape Town, to host a street festival that takes place in the hood that’s been something of a crucible for this crazy experiment we call AfrikaBurn. Imagine the magic of Tankwa Town spilling out into the streets of an urban area for a day, and you’re on the money. Mutant Vehicles. Performance. Artworks. Gifting. Rangers. Music. And costume – lots of costume. That’s just a sample of the range of activities that take place on the day – but on the ground there’s inevitably a much wider range of interesting and spontaneous happenings, because the event is completely free, and even our team doesn’t know quite what will happen, due to the open-ended invitation for anyone to come along and add their colour and creativity to the mix. What’s certain is that this year’s event will be the largest yet, with a very wide range of artworks, performances and music already confirmed – and this year will also see the addition of a new area that will host a mix of Mutant Vehicles from our thing in the desert as well as a number of classic and vintage cars and bikes. Streetopia is completely free – and everyone’s invited. As a non-profit event, the point of it all is to give back to the hood that’s played such a crucial role in fostering many projects and collaborations that have gone on to come alive in Tankwa Town. 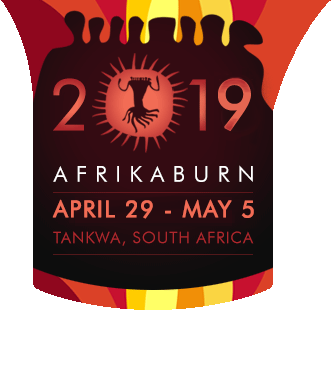 As with any AfrikaBurn event, the spirit of volunteering is what drives the whole thing – and anyone’s welcome to step up and assist us in pulling off another successful day on the streets by signing up for a range of tasks and shifts, including Ranger duties. To find out what volunteer options are available, take a look at the Participate page on the Streetopia website – and step up & get involved, so we can all bring the spirit of Tankwa Town alive on the streets! Join us on the day – and be sure to dust off your best costume, so you can enter the Best Dressed Contest: 1st prize is a ticket to AfrikaBurn 2019! For more info on this year’s Streetopia (which takes place from 10am – 6pm on Saturday December 1st), head to the Facebook event page, or the Streetopia website.